Everything From My Desk and Shelf: Movies, Academics, and More. Happy Halloween everyone! For this year’s final installment of the Fall and Film series, instead of discussing a number of films, we will look at the interpretation of one story through a variety of mediums. A few notes before beginning: First, this is by no means a comprehensive list. Secondly, this post will be a little shorter than usual because I am covering a lot of material and, well to be honest, it has been a busy week. Besides, it is Halloween! This is the night for watching movies, handing out candy, and being with friends and family to enjoy this great, spooky time of year. 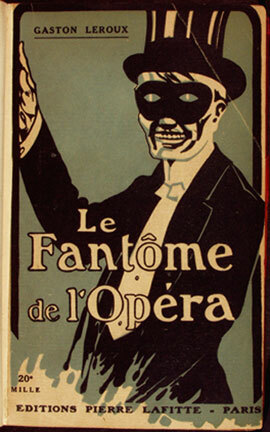 The story began as a serial and eventually found its way into novel form, with the English version appearing in 1911. Gaston Leroux’s novel provided the foundation that nearly every incarnation of the story would follow for decades to come. The novel itself is a fine read, with its biggest problem perhaps being a lack of identity within genre. There are elements of mystery, suspense, romance, Gothic tale; it is really all over the place. For me however, this is a strength. This is a great, short read that I would recommend. 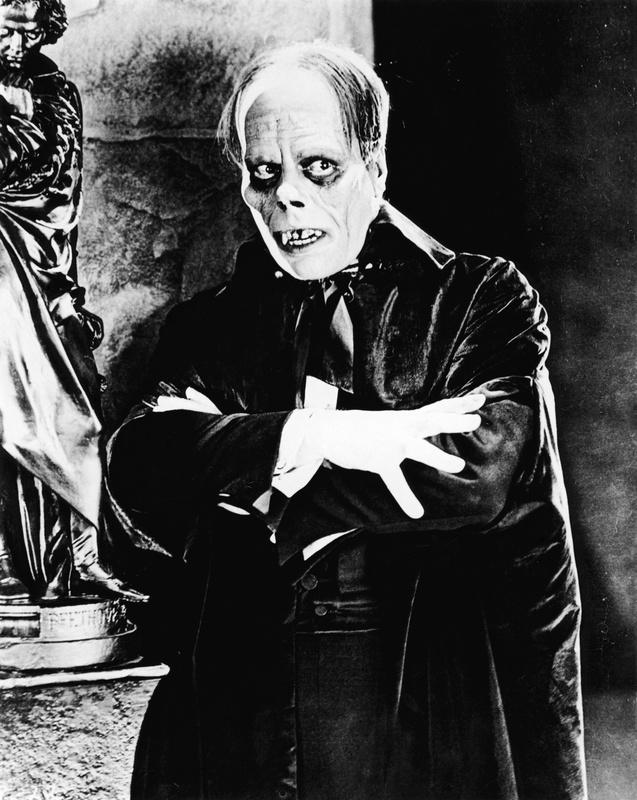 Lon Chaney. Those are the only two words one needs to know for this silent classic. While Germany was cranking out works of art such as The Cabinet of Dr. Caligari and Faust, the Universal Studios 1925 classic stands as perhaps the best example of American silent horror. Well-acted and paced, this film version follows fairly closely to the book and is an excellent place to start for one venturing into silent films for the first time. It is public domain, so feel free to watch on YouTube or a variety of sources. I personally recommend the Blu-Ray release from Image Entertainment. It contains two versions of the 1929 re-issue version (one at 20 frames per second and the other at 24), as well a 16mm print of the original 1925 version. Although all three are technically the same film, they are very different viewing experiences, especially the 1925 original. Highly recommended! Although I am not well versed in musical theater, it is my understanding that Andrew Lloyd Webber is a very divisive figure. Regardless, the stage version has astounded audiences around the world with its memorable music, elaborate costumes, and magician-level stage effects. For me, it was the first professional stage production that I saw and it had quite the impact on me. I would encourage everyone to see the production live if possible. If not, the Blu-Ray release (also available on Netflix Instant Watch) of the 25th anniversary special from the Royal Albert Hall is a fantastic watch. This film version by yet another contentious figure, Joel Schumacher, is a mixed bag. In my opinion, it is well-acted with fantastic music, but it lacks the grandeur quality of the stage production or even the 1925 original. Overall, it is not a bad watch, if for no other reason than to compare it to the stage production on which it is based. I remember seeing this on television as a child and it scared me tremendously. Watching it again as an adult, I am shocked at just how bad of a film it is. Clearly banking on the marquee value of Robert Englund, fresh off a run of films as Freddy Kruger in the Nightmare on Elm Street series, I found every element of this film lacking. Hovering between a Gothic tale and slasher film, the film contains lackluster performances, somewhat ridiculous makeup, and a forgettable plot. This is one of the only adaptations to explicitly demonstrate an element of supernatural, but overall, the film just fails on every front. 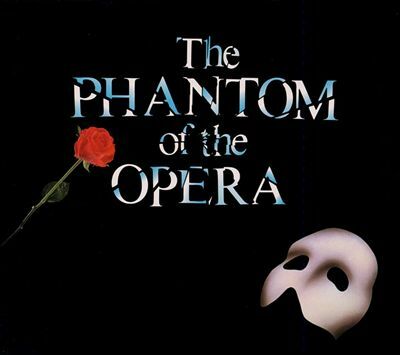 Even the unfinished symphony, as portrayed in the film, is a clear rip-off of the Andrew Lloyd Webber version. I would say watch it if you are morbidly curious, otherwise, skip it. That concludes this year’s Fall and Film series! If you have read all the articles for this year, I certainly want to thank you. Hopefully, I fulfilled my goal of introducing my reading audience to films they may not be familiar with. Happy Halloween everyone! Thanks for reading. This entry was posted in Movies and tagged Andrew Lloyd Webber, Fall and Film, Halloween, Horror Films, Horror Movies, Lon Chaney, Phantom of the Opera, Robert Englund, Silent Movies, The Phantom of the Opera. Bookmark the permalink.